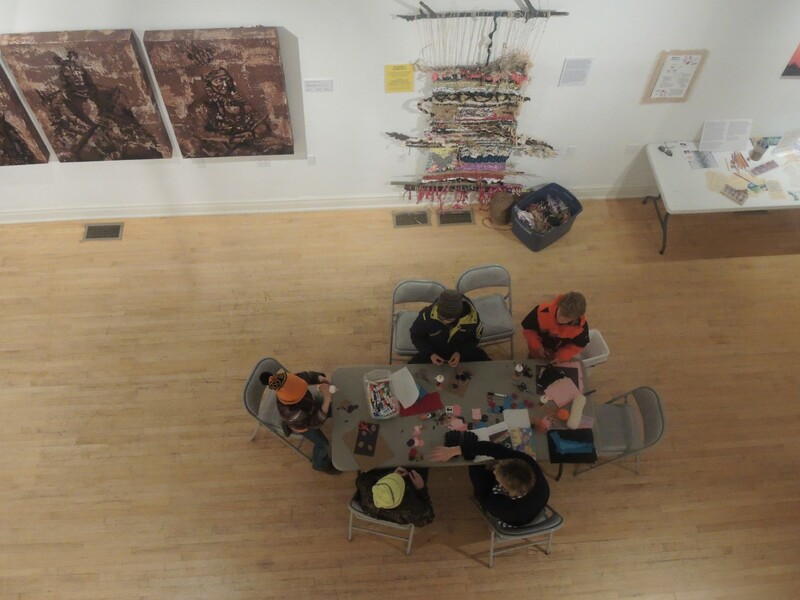 Art education is happening at the Cultural Center in New York Mills. New programing at the Cultural Center invites the community to join in the fun. Community Weaving: Come in and add to our weaving. Just as a community is made up of a variety of individuals that create the whole, so does a weaving take many components to create a beautiful piece of art. Stop by anytime we are open and add any materials we have or bring your own materials to add to this one of a kind wall hanging. Native American Heritage month art show is going on now through the end of December. After viewing wonderful artwork in the gallery space, take time to learn a little about Ledger Art and create your own story. 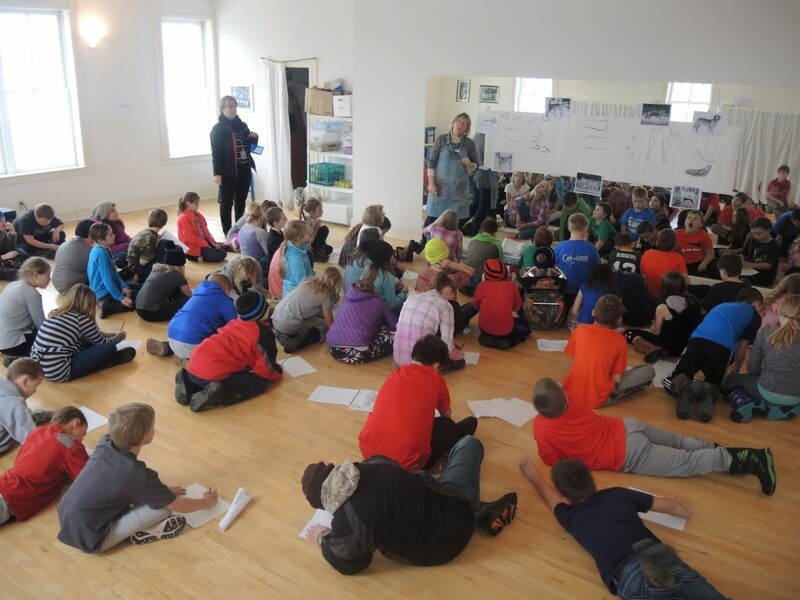 Starting in December, New York Mills 4th grade classes will be visiting the Cultural Center for tours and art lessons! Also starting in December, our teaching artist / education coordinator will be visiting the 6th grade classes to present art workshops.